Last April, I wrote a post titled Taking Stock on WordPress Theme Frameworks. In the meantime I have become quite comfortable working with the Genesis Framework from StudioPress. A couple of my sites is already running on this framework. In addition, I would like to use a framework that makes it very easy for me to build a custom website from scratch. Just before the weekend, I have published a review about the Ultimatum Theme. And I must say I am pretty much impressed by the possibilities and the ease of use of the Ultimatum Theme. However, since I am a curious – and may be even a little bit of an adventurous – guy, I like to explore a couple more WordPress Theme Frameworks before settling for one of them. At the moment, there are 41 WordPress frameworks available – talking about choice. Still a considerable list. And where to start? To narrow down the list a bit further, I think it is good to consider attributes like price, updates, support, and recurring costs next to the features of the theme framework itself. It is probably pretty obvious; the first column – titled Framework – lists the names of the eleven selected WordPress Theme Frameworks alphabetically. Most theme frameworks are available with more than one type of license. Where possible, I have chosen a license type that allows you to run the framework on – and get support for – more than one domain. Preferably including client domains. All prices are in US dollars. As you can see, the prices range from $45 for a one site, lifetime license (MultiToool) up to $999 for one year of updates and support (Carrington Build). That is quite a variation! When I buy a theme, and definitely when I purchase a theme framework, I like to be assured of product updates; maintenance updates whenever necessary of course, but also product upgrades. Support is also a very important topic for me. In first stage, I prefer to explore the possibilities of a theme framework on my own. So I appreciate some kind of product documentation that I can turn to the moment a feature is not quite obvious to me. It is great when you can submit a support ticket, but I favor a vendor where I can browse and search a forum. Another user will probably have encountered a similar situation already. Utilizing a forum brings another benefit; over time it becomes a great knowledgebase serving the users as well as the producer. Facilitating a child theme helps you to leap frog the creation of a website, because you do need to start from scratch. Some frameworks are packed with one or more child themes. That number is stated in the child themes column. Please be aware that not all frameworks support child themes as defined in the WordPress Codex. The own sites column states whether you are allowed to use the framework on all the sites that you own – or those that your organization owns. That is generally the case, except for one; Bloooming’s MultiToool. There are two exceptions when it comes to the permission of using the WordPress Theme Framework on client sites; MultiToool and Thesis. Besides the initial investment for the license of the framework, it very important to be aware of any recurring cost.Regarding four of the above mentioned frameworks you will be faced with annual costs; Builder, Carrington Build, Headway, and PageLines. So when you are using one of these four theme frameworks, and you want to keep your installations up-to-date, or when you want to have access to the support forum beyond the first year, you will have to renew your license. Backbone by ColorLabs is a relatively new framework. Currently there are seven child themes available for Backbone – all from ColorLabs itself. ColorLabs offers two more options besides the Developer license. Instead of the Developer Pack for unlimited sites, you also can choose for the $59 Standard Pack that comes with support for one site. Another possibility with ColorLabs is that you opt for the subscription model, which entitles you to updates and support as long as you are a member. Unless you prefer the membership above the purchase, there are no recurring costs. iThemes packs the Builder Developer Pack with all available Builder child themes – 57 to date. Although when you count a theme with two or more color options only once, we are closer to 35 themes. However, that is still a respectable number. The Builder Foundation license includes just the framework and costs $80 per year. A third alternative with Builder is the $387 All-Access Pass, which adds 80+ classic themes to the Developer Pack. If you prefer to receive updates and support for the Builder framework beyond the first year, you will have to repurchase a license – regardless the license type you have purchased initially. The multi-site license of the Carrington Build framework by CrowdFavorite is with $999 per annum by far the most expensive WordPress Theme Framework. There is also a Single Site variant which still costs $299 for one year. When you would like to receive updates and support for Carrington Build beyond the initial year, you will have to buy a new license for $999 respectively $299. As of September 2012, Catalyst is available in one edition only – the Catalyst Framework – for a one-time fee of $127. All Catalyst members enjoy the same benefits: unlimited websites, lifetime updates, access to the Catalyst documentation and the support forum, and free Marketplace Products. The Dynamik Website Builder is developed by the creators of Catalyst. Simply put, they have created a child theme for the Genesis Framework, and have added the design controls from the Catalyst framework. Dynamik is available with a one-time fee license for only $77. Please note that in order to use the Dynamik Website Builder, you need the Genesis Framework too. 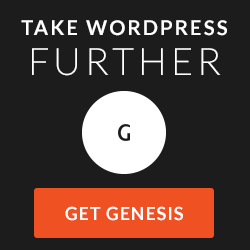 The Genesis Framework – that comes with a blank child theme – has a one- time fee of $59.95. The Dynamik license entitles you to lifetime access to updates, the support forum, and you can use it on unlimited domains – your own, as well as your clients. There are no recurring costs. The Genesis Framework from StudioPress comes with unlimited everything: “Unlimited support. Unlimited updates. Unlimited websites. There’s no ‘Developer Option’ here. One low price entitles you to support, updates, and domains.” Hence, there are no recurring costs. When you are not sure yet whether the StudioPress Pro Plus All-Theme Package for $349.95 is the right choice for you, you can always start with just the Genesis Framework or the Genesis Framework with one of the StudioPress Child Themes. Genesis customers willing to purchase another child theme, or ready to opt for the Pro Plus membership, will find a coupon in the support forum reducing the regular price with 25%. This is the way I ended up being a satisfied StudioPress Pro Plus member. At the moment, StudioPress offers 47 child themes for its Genesis Framework. In addition there are also Community Themes, themes created by experienced Genesis developers and available at StudioPress. And last, but not least, there are also Genesis child themes available from Genesis specialized companies like Themedy. Headway offers two kinds of licenses. Next to the Developer option for $174, there is also a Base license with a price tag of $87 for just the Headway framework. Renewals for the Headway Developer and Base license are 75% of the initial license price. The MultiToool WordPress Theme Framework by Bloooming is available at ThemeForest. The license policy and pricing plan regarding MultiToool are quite simple; you need to purchase a $45 license for every single domain. Regardless whether it is your own site or your client’s. The support forum and documentation are accessible from the MultiToool panel. PageLines offers a $197 Personal Edition and a $397 Developer Edition of its framework. Both entitle you to updates and support for one year only. The major difference between the two licenses is that the first one allows you to use the framework on an unlimited number of domains as long as you own these yourself. The latter allows you to use the PageLines Framework on client sites too. Because of the introduction of PageLines Version 2.2, PageLines has started a special sale reducing prices with 50%! The Personal Edition now costs only $97 and the Developer Edition only $197. At the same time, PageLines has introduced a Plus membership that includes live support, monthly extensions, and access to all PageLines products and updates. The Personal Plus membership comes at $14 per month. The Plus membership for the Developer Edition has a price of $19 per month. Please note that when you do not want a Plus membership, you might have to repurchase a license when PageLines releases a critical update for its framework. Next to the Thesis Developer Option – with a price of $187 – DIYThemes also offers an $87 Personal Option of the Thesis Theme framework. The Personal Edition allows you to run the framework on one live (production) website and on one local host for development purposes. The Developer Option allows you to run the Thesis framework on all the domains that you own. Customers of the Developer Option that want to run the framework on a client sites, need to purchase Client Site Options. The price of a single Client Site Option ranges from $40 to $32. This price depends on the number of client licenses you purchase at once. There are no recurring costs. The already mentioned Themedy creates not only child themes for the Genesis Framework, but also for the Thesis Theme Framework. When you purchase a theme from Themedy, you will get two versions; one for the Genesis Framework and one for Thesis Theme. As stated in the review of the Ultimatum Theme , this drag-and-drop framework is available in three flavors: a $65 Starter License, a Developer’s License at $125 and a Designer’s License for $170. All three licenses will deliver you lifetime updates. There are no recurring costs with the Ultimatum Theme. The Starter license comes with support for one site. The Developer’s and Designer’s License entitle you to support for an unlimited number of sites, multisite support, and the ability to export templates. The Designer’s License also gives you the ability to sell your templates at the Ultimatum Template Market. At the moment, the Ultimatum Developer License is available at Mighty Deals for only $57 and the Start License for only $37. Definitely worth the money in my opinion. Xtreme One from the Xtreme Theme is a framework available with only one kind of license for just $79.95. You will get lifetime updates, access to (video) tutorials, the support forum, and the knowledgebase. These are no recurring fees. Xtreme One comes with one blank child theme. Additional child themes can be purchased for $19.95 each. My initial intention with the research and findings described above was to help me identify which WordPress Theme Frameworks I might want to consider myself. It is very tempting to the compare only the oh-so-obvious price tags. Especially when you plan to use a theme framework not just for one project, but for a longer period of time, it is very important to consider all product attributes. Not just the product features, but updates, support and recurring costs too. What frameworks are you considering? Quite a nice comparison of pricing. However, you can also talk about other theme frameworks which are ‘100% opensource’ yet offer multiple functionality and FREE Support. I recently encountered with a theme framework called rtPanel (http://rtpanel.com), its responsive, supports HTML 5 and offers free technical support. I think, such frameworks can work best as a ground for new developers to develop cost effective themes. Thanks for sharing your experience with the rtPanel, Gajanan. And I agree with you. From the point of view of a theme developer, the rtPanel, the Options Framework Theme, and the NHP Theme Options Framework might be better alternatives than the frameworks suitable for non-geeks like me. Great research Wil and only 2 comments! I’m kind of in the same boat, looking to build sites and more interested in the usability and conversion that in the actual development. I’m not a coder and have no desire to be. I have a few WP sites built on Genesis, Thesis, WooThemes and all built by outsourcers before I even knew what framework, themes, etc, meant. I’m still getting my head around the to ptions and what’s possible with each. How do you find Genesis to work with Wil for ease of use, is there much coding required? Also I don’t see a mention of WooThemes anywhere on the site, and I ask that as apparently the Canvas theme is pretty flexible and worth a look. One more q, what is available with regards ecommerce for WP? That’s my background and I plan to knock up an ecommerce site with WP to test it out, whichever framework I go with full-time. Hi Ian, welcome to wilwebs. Well, you are asking two excellent questions. When you are willing to get the most out of Genesis, you will have to get your hands dirty. Definitely with CSS and probably with a little PHP too. That might sound more frightening that it is, because StudioPress has a very active and responsive community – and forum! 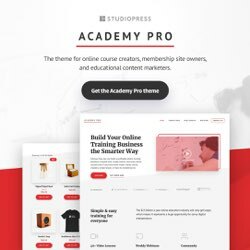 There are a lot of tutorials available on the StudioPress site as well as on blogs from web developers and web designers working exclusively with Genesis. When you prefer to work with Genesis, but do not want to code, you might want to have a look at Dynamik which has been built upon Genesis. Why is Canvas missing? In an earlier post, I try to define a “WordPress Theme Framework”. WooThemes, Themify and WPZOOM build their themes on excellent frameworks. However, these frameworks are applied by the respective companies only and not available for purchase other than incorporated in a theme. I am the first to admit that my “definition” is not bulletproof. There are a lot of shades of gray in the WordPress framework arena. BTW, a review of Canvas is available at WPReviewLab. Later this month, I will be publishing about Catalyst, Genesis, Dynamik and Xtreme One. Later on, I might also have a look at Builder, PageLines and Headway. 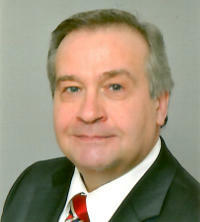 Posts about Ultimatum and Thesis – as well as an introduction to Dynamik – are already available here at wilwebs.com. Next, I will be reviewing the most common e-commerce plugins here at wilwebs. As a kind of a preparation, I have already posted several reviews about eStore themes on WPReviewLab the past couple of weeks. At the moment, WooCommerce is the most supported plugin. WPReviewLab another nice site Wil, good work. Thanks for your response. I guess I have more research to do prior to getting stuck into one brand. So much choice though and each time I read a post I get even more options! Thank you for your email regarding Ultimatum and iConic theme. Based on your questions of ecommerce, I can highly recommend that you have a good shot at Ultimatum as out of the box it works fantastic with WooCommerce. I have created a few videos of how to install Ultimatum and WooCommerce and setup your store. iConic is geared towards selling online, however the new starter theme in which will be complete next week is called uSell. It is an incredible starter theme that will be made distributed for free. No other framework supports that. Hi Ciaran, Thanks for the update on Ultimatum. Indeed, it would be a great plus when Ultimatum could export themes that run independently from the framework. I think that applying themes and child themes, has its advantages above importing and exporting skins. Not really a word press person but getting into it slowly, Wil I would like to build some sales and squeeze pages, what in your opinion is the best Theme or plugin to use? have seen Optimize press and a few others, what do you think? Hi Gary, welcome to wilwebs. Your timing is almost perfect. I am currently in the process of reviewing this kind of themes over at WPReviewLab. The first review was published last Friday – Convertible. Next are ProReview, ProAffiliate, OptimizePress, and Heatmap. In addition, I will review Premise and ElegantBuilder – not themes, but plugins adding sales page functionality to any WordPress theme. These reviews will be followed by a recap of the mentioned products – here on wilwebs. It is my goal to complete the individual reviews in the cause of this week. Can you wait that long for me to answer your question? Hi Alex, I am sorry, but I can not promise that I will be reviewing any of these three products. Gantry and ThemeFrame did not pass my first selection round. Yesterday, I did register at Vertex because it looks like it should be included in the list of WordPress frameworks, but I had a hard time finding the download link of the framework – really! And obviously, I am not the only one. For the upcoming frameworks comparison, i propose to provide them goals. Goal 1 : WP Remix (http://wpremix.com/) brings to wordpress a CMS experience. 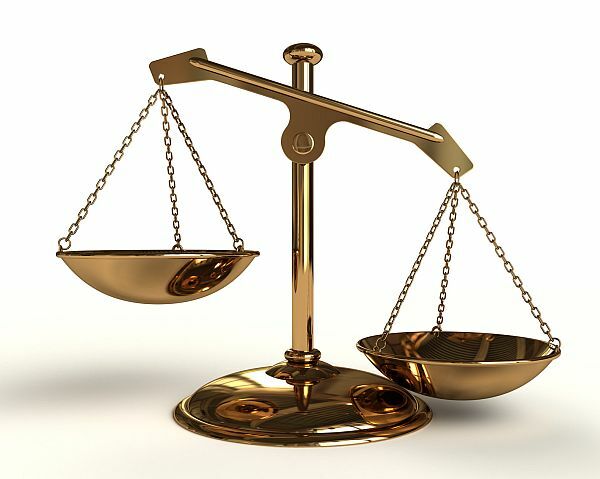 How our frameworks manage to achieve the same results ? How easily and how fast ? How easily and fast it is to adapt it in to the framework. Good review. But I am also confuse. i am an technical noob and looking for making my sites and i am looking for one premium theme which help me to build amazon sites, product reviews sites and Blog. Because I am an technical noob so I am looking for an theme which require minimum learning curve. I like a theme which has drag and drop facilities. I am looking to Thesis 2.0, Headway and Utlimatum themes. What is your opinion which theme has less learning curve and full flexibility.